A few clouds. Slight chance of a rain shower. Low 54F. Winds NNW at 5 to 10 mph. Dundalk Moose Lodge 1228 and its three-acre parcel on Sollers Point Road were sold last October. The Dundalk Moose on Sollers Point Road. 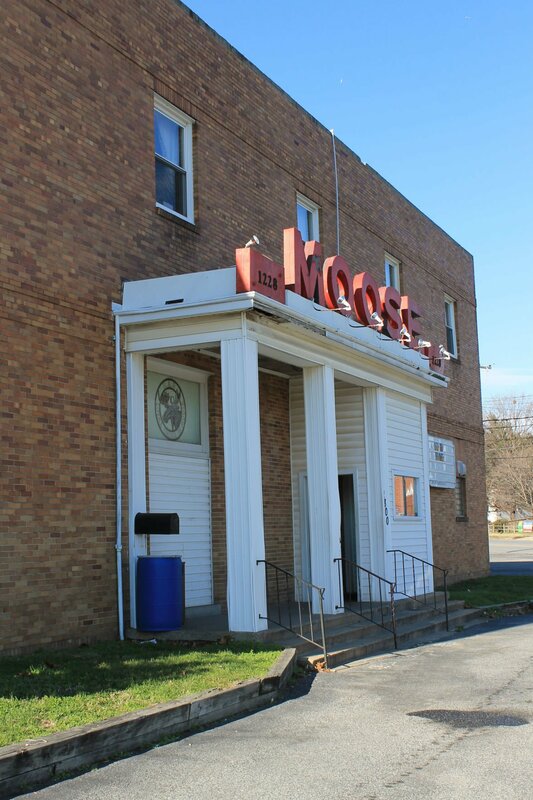 The former Dundalk Moose Lodge at 2800 Sollers Point Road will be torn down to make way for medical offices. The 10,270-square-foot building, which sits on nearly three acres, was purchased by Essex-based Mace Medical last October for $825,000. The Dundalk Moose began life in Sparrows Point, organized by steel and ship workers in 1929. By the 1940s, members began raising funds to build a dedicated Moose lodge. After years of work, they were able to take out a loan and build a hall in 1949. The loan was paid off in 1958. For decades, the Dundalk Moose lodge has served as both a social organization and a charitable one, contributing to schools and organizations across the area. Facing a decline in membership and rise in insurance and maintenance costs, the lodge was put up for sale in 2016. That same year, the Baltimore County Council voted to designate the area around the lodge as the Merritt-Sollers Point Commercial Revitalization District. As part of the district, which also includes the former Harold’s Bar and several other nearby stores, restaurants and other small businesses, building owners enjoy special tax credits, loans and other incentives. Other commercial revitalization districts in the area include the Dundalk Village Shopping Center and the intersection of Merritt Boulevard and Wise and Holabird avenues. As for the former Moose lodge site, it will soon be home to a new one-story, 14,400 square-foot branch of Mace Medical. Plans, according to Mace Medical’s Dr. John Lee, call for the razing of the current building. The project, he explained, has been delayed already. A tentative opening in the new location is slated for 2020. Once built, the new Mace Medical location will focus on primary care, with some specialized doctors on site. Calling it a “one stop shop,” Lee noted there there will be a multitude of different doctors under one roof. The branch will also offer evening and Saturday hours for patients. “It’s basically going to be a mirror-image of what we do here in Essex,” Lee said. Currently, Mace Medical — at 1124 Mace Avenue in Essex — has six doctors and a nurse practitioner. Those professionals would alternate between the Dundalk and Essex locations. Eventually, Lee noted, they plan to increase the number of doctors on staff. According to Lee, the move to Dundalk will serve to accommodate the growing practice while offering more convenient service to the many Dundalk patients who travel to Essex to see doctors. “We’re busting at the seams here in Essex,” Lee said. Additionally, the move will bring more primary care doctors to Dundalk. Currently, Lee claimed, there are not many primary care doctors taking new patients in the Dundalk area. While they work to build their new location, Mace is looking to lease a temporary office space in the Dundalk area. Patients and those seeking more information can call 410-391-6996 or visit macemed.com.